Here in Britain we are living on the cusp of catastrophe. A bad break Brexit could lead to chaos, gridlocked lorries on the M25 because of a new customs regime and even food shortages. Ten years after the financial crisis, the world is due a new cyclical economic crisis. In turn, climate change is leading to increasingly chaotic weather. In fact the catastrophe is already here, living and breathing, spending cuts as part of Theresa May’s austerity programme, are pushing the heads of the poorest below the waterline. Graham Jones, a self-educated organic intellectual, hairdresser and exponent of radical mindfulness, has written a short guide to turning crisis into opportunity, called The shock doctrine of the left. The book is part map, part story, part escape manual. Easy and enjoyable to read, it provokes us to read more and will help us to be politically active in more effective ways. The shock doctrine of the left ignores moralism and policy making. Neither does it come up with a blueprint for a better society, or a list of policies that might be introduced. The shock doctrine of the left ignores moralism and policy making. The obvious moral failures of 21st century capitalism are accepted but this provides a starting point rather than making up an agonized critique of what is wrong. Neither does it come up with a blueprint for a better society, or a list of policies that might be introduced. While concepts such as a universal basic income scheme are described, this book focusses on how those of us who are politically active can act strategically to make effective change. Graham Jones clearly and, in my opinion, correctly, believes that part of the strategic processes of making practical change relies on having effective concepts. Concepts are tools that can be used to transform social reality. 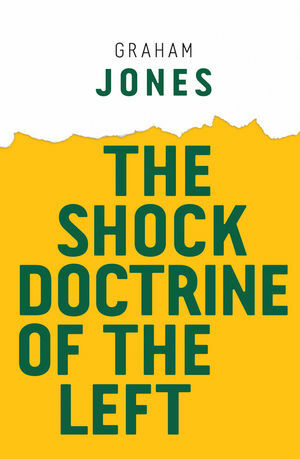 While this might sound a little abstract or unconvincing, the concept of the “shock doctrine”, used in the book’s title, is a good illustration. 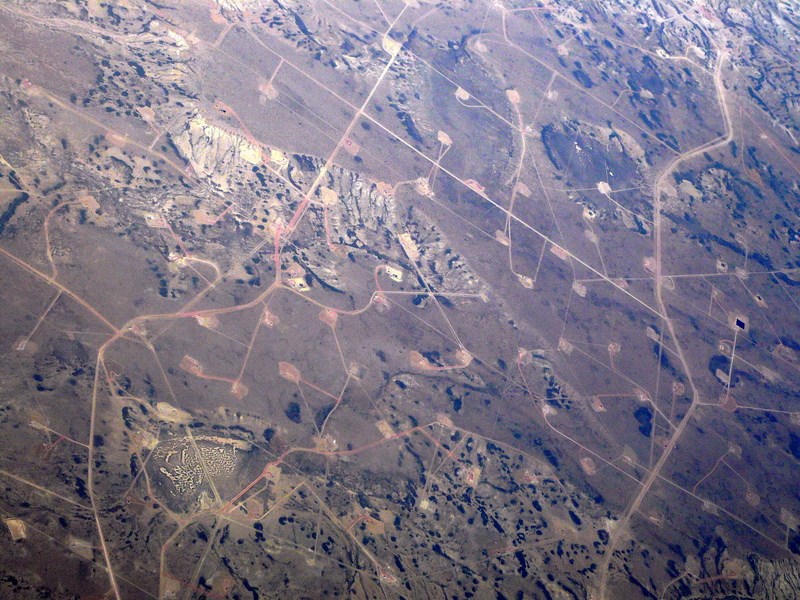 In her book The shock doctrine, Naomi Klein, the Canadian political activist and writer, argued that sudden and dramatic change had been increasingly exploited by the right to make changes in society, moving things in a pro-corporate direction. For example, the second Iraq War, with its massive disruption of the country, was used to try to engineer Iraq society to be more neoliberal. By neoliberal, I mean a combination of, on the one hand, free market forces that reduce state intervention in social welfare and other forms of human care, combined, paradoxically, with a stronger state support for corporations along with military and police control. Klein argues that shocks can be used to restructure society to the benefit of the rich and powerful. This is not a conspiracy theory: the shocks are usually not deliberate, but, when they do occur, they are used by right-wing forces. The financial crisis of 2008 is another example. Caused by reduced bank regulation under pro-market governments, it was used in Britain as a justification to introduce spending cuts that also moved British society in a more neoliberal direction. Climate disasters such as hurricanes may be used to restructure cities, remove social housing, and initiate pro-corporate urban development. In this short book, however, Graham Jones looks at how increasing crisis can open up space for the left to promote a future that is friendly to social and ecological goals, rather than allowing for corporate control. Much of the book is based on ideas from the French philosopher Gilles Deleuze (1925-1995). Deleuze is perhaps best known for the two-part book he co-wrote with Felix Guattari, Capitalism and Schizophrenia. Deleuze is popular amongst many activists and intellects on the left, but difficult to understand. Deleuze’s books on philosophy depend on the effects that they inspire in readers. One virtue of reading Jones’ book is that I understood a little more about Deleuze. I may be misleading readers by giving the impression that the book is about philosophy and difficult to read or understand ideas. In fact it is very clear and takes a resolutely non-academic approach, concepts are, to repeat, illustrated by appealing stories. The argument put forward is that there are different ‘logics of the left’. We are not talking about ‘dialectic materialism’ versus ‘Fabianism’ here. The logics of smashing, building, healing and taming are discussed, each in its own brief chapter. Finally the book ends with a chapter linking these under the title of meta-strategy. The book suggests that to make change we need to understand systems. Social reality is based on processes that work within networks. Jones argues that the systems we live within can be understood as bodies which are made up of other bodies. Through various actions we can reshape these bodies. In this way, power is defused throughout a society. It is therefore not a matter of simply electing a government that will ‘take power’ and make better laws. Power isn’t found in one place. The notion of a traditional revolutionary party modeled by Lenin is also inappropriate: there is no Winter Palace to be stormed, as in the Bolshevik Revolution. It’s not really like any book I have read on political strategy before, its both strange (but in a good way) and very easy to understand. It’s not really like any book I have read on political strategy before. It’s both strange (but in a good way) and very easy to understand. I think if I wanted to capture its approach—not that it can really be captured—one sentence in the middle of book comes close to giving an idea of what The shock doctrine of the left is all about: ‘It involves mapping the bodies around us – their parts, relations and wholes, their paths and speeds – and developing interventions for altering them to our advantage.’ (page 37). What we do—electioneering, supporting a strike, or getting involved in a social centre—is practical action. The simply and clearly outlined concepts developed in The shock doctrine of the left help us to put our action into context, so as to make it effective. We intervene informed by a map of how things are and how our intervention can shape them productively. The book isn’t for everyone. It sometimes seems a little slight and to leave many questions left without an answer. However no book is the book to end all books. It is a charming look at social change that, for me, at least, reminds me of some core concepts I find useful and introduced me to others. It is a Deleuzian book, if I understand him at all ( which I may not! ), in the sense that it aims to produce practical effects and these effects are not predetermined. Derek Wall teaches political economy and is a former International Coordinator of the Green Party. His new book Hugo Blanco: A Revolutionary Life will be published in November by Merlin Press. The shock doctrine of the left by Graham Jones is published by Polity Press, as part of the Radical Futures series. You can find it here.